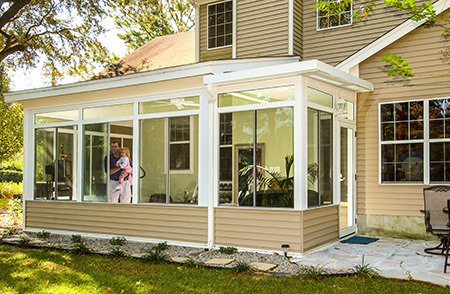 Sunrooms from SRA Home Products are a great way to add a substantial amount of living space to your home in the Warminster, Pennsylvania area without undergoing a full-scale home renovation. When we install a sunroom at your house, you will receive a beautiful new space that is perfect for a wide range of activities, such as reading, exercising, hosting parties, and more – all while taking in the stunning views around your home. Low Cathedral – TEMO’s low cathedral sunroom best fits single-story homes and is available with glass top and bottom wall options. Studio – Studio sunrooms can be installed at both one- and two-story homes, and have a gentle roof pitch that typically prevents the need for added construction on single-story homes. 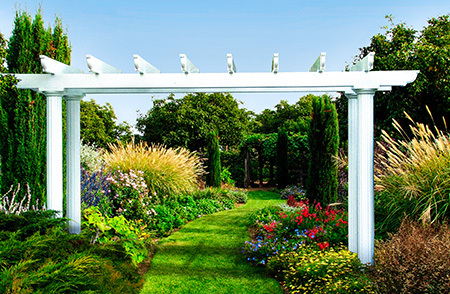 California – This style sunroom has a taller back wall that is most appropriate for multiple-story homes, and can be used with a 3-wall configuration. Conservatory – Conservatory sunrooms come in a square Edwardian or faceted Victorian style for a unique look. All of these distinct styles feature TEMO’s innovative TEMKOR surfacing, which resists scratching, denting, fading, and impact, making our sunrooms durable as well as low-maintenance. Moreover, all TEMO sunrooms are backed by a limited lifetime transferrable warranty, so you can trust that this investment in your home is secure. We also offer financing options for those who qualify, making this home improvement project more affordable than ever. Finally, when SRA Home Products installs a TEMO sunroom at your Warminster area home, you will also enjoy the exceptional installation process we have come to be known for. Instead of using subcontractors, all of our installation jobs are completed by our own factory-trained and -certified technicians, whose knowledge and experience allows them to complete each job correctly the first time. Their expert craftsmanship and cheerful demeanor have helped us earn an A+ rating with the Better Business Bureau, a distinction that is evident in every job we complete. 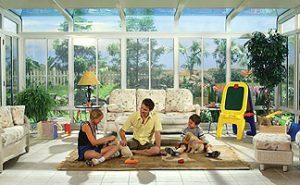 For additional information on the sunrooms we install at homes in the Warminster, PA area, or to learn more about our seamless installation process, contact SRA Home Products today.